An 86,000-square-foot office building in Albuquerque's Uptown area will be transformed into luxury residential condominiums and a mixed-use project. The office building, 2424 Louisiana Blvd. NE, is under a new local ownership group and they have big plans for the building that will add more housing to the Uptown area. The four-story building was purchased by John Lewinger, a founder and principal of Colliers' New Mexico office; Darrel Gustin, an Albuquerque-based hotel owner and investor; Debbie Harms, the CEO of the real estate company NAI Maestas & Ward; and her husband Irwin Harms, a partner at NAI Maestas & Ward and founder and managing partner of Sun Vista Enterprises, a commercial construction company. Under the name GHL LLC, the four investors are calling their new project The 24s @ Uptown. The fourth floor, which was once occupied by Los Alamos Technical Associates, will be converted into six luxury residential condominium units. The units will range from 1,300 square feet to 2,500 square feet, and will be made up of two and three bedrooms. Lewinger, who is selling the residences, said three have already been sold. "This property sits right in the middle of prime real estate, so I think residences works perfectly for this kind of redevelopment," said Debbie Harms. "It's a new way of thinking, and a new trend that people want now, from the baby boomer generation to the millennial generation. They both want the same thing, mixed-use developments, and we're answering that call." Converting offices to residential units is no easy feat. Often times, the building's plumbing and electrical systems have to be reconfigured for homes, which can be expensive. Lewinger said adding residences to the building will cost $4.9 million alone. That includes all of the unit's amenities, installing windows, plumbing, and adding balconies, among other things. The price tag also includes turning the building's basement into a parking garage for residences. The second and third floors of the building will remain offices, and was sold as an investment unit to Go Figure LLC. The firm RPC CPAs + Consultants will move into the third floor, which until Tuesday was home to the real estate company Colliers International. 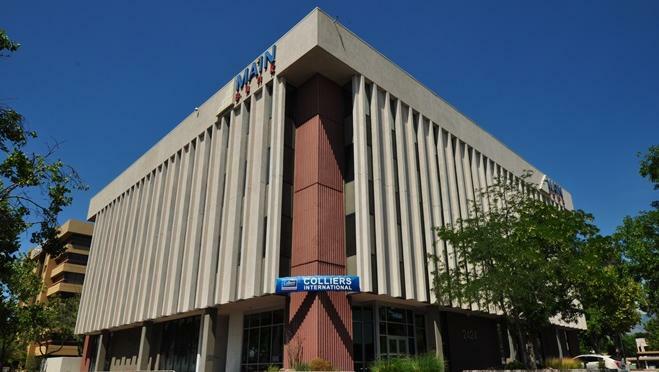 Colliers International is moving its office to the North I-25 area. The second floor of the building will be leased to other businesses. The building's new owners are working to fill the bottom floor with businesses and retailers. The bottom floor used to be home to Main Bank before it built its own offices elsewhere in Uptown. The owners are also considering building a brand new 6,000-square-foot retail center in front of the property facing Louisiana Boulevard, but potential users and a timeline have not been determined. Albuquerque-based Sun Vista Enterprises will design and build the project, which will start construction this month.